If you follow the US military and the blogging world that surrounds it, you may have visited Duffel Blog. This site presents all the hilarity and wit of the legendary satire publication The Onion, but with emphasis on the armed forces and veterans, to provide members and supporters of the armed forces a bit of levity in trying times. I have enjoyed several pieces from this blog in the past and a recent one was no different. With all the controversy surrounding the status of the “Confederate flag” (predominantly dealing with the battle flag design) in the wake of the tragic murders in Charleston at the hand of a deranged white supremacist, there have been hundreds of stories relating to symbols of the Confederacy and its military and political leaders. Duffel Blog decided to jump into the fray by writing about West Point revoking the diplomas of graduates who went on to serve the Confederacy. This “story” follows an earlier posting regarding efforts to rename Army installations named for Confederate generals. Both of these pieces are amusing, but also thought-provoking, as they force us to consider the broader role of the war on our society. Clearly, Duffel Blog is responding to the controversies surrounding Confederate symbols with tongue-in-cheek humor designed to make us reflect on the absurdity of the reactionary nature of our times. They are also aware that a sizable portion of their audience is likely Southern and is in the cross hairs of this debate. That said, they also make one reflect upon the careers of the Confederate military leadership when viewed against the backdrop of American military history. 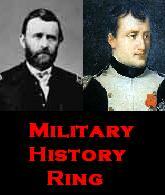 Further, they speak to attempts to reconcile the two regions after the war by naming the installations for these men. That said, I doubt that West Point will be revoking diplomas of former Confederates anytime soon, as the Academy knows that, despite their switched allegiance during the war, many of these men had distinguished antebellum careers in the Army, with Robert E. Lee being among the most prominent. Whatever your stance on the symbols of the Confederacy and how they are used and displayed, I invite you to read the two Duffel Blog posts, chuckle a bit, and allow yourself a moment to breathe and reflect, as more of that would certainly benefit this ongoing debate. Baton Rouge—Hundreds of fascinating Civil War titles can be yours at a 40% discount until June 25. This offer includes classic hardcover and paperback titles, as well as new releases like Alfred C. Young III’s “Lee’s Army during the Overland Campaign” with a foreword by Gordon C. Rhea. For the Civil War buff and historian this is a great opportunity to affordably deepen your understanding and broaden your library. Through this offer only you can also buy the newly released, commemorative boxed set “Generals in Blue and Gray” at 20% off! Visit www.lsupress.org to discover more Civil War titles at up to 40% off. Order online at http://bit.ly/LSUPCW or call 800.848.6224 and use the code 04CIVILWAR. This limited-time offer includes titles like “Lincoln and McCellan at War” by Chester G. Hearn, Mark Stegmaier’s “Henry Adams in the Secession Crisis,” and new releases like David C. Keehn’s “Knights of the Golden Circle” and Linda Barnickel’s “Milliken’s Bend.” Visit our site through this link to explore more titles: http://bit.ly/LSUPCW. All purchases require immediate payment and are non-refundable and cannot be combined with any other offers. Excludes reference titles. Though one would not think of the AARP website as having much to do with the war, they posted an interesting reflective piece on how the Civil War changed the lives of Americans. Echoes of the nation’s greatest fight — the Civil War — still reverberate from coast to coast. The Civil War began during medieval medicine’s last gasp and ended at the dawn of modern medicine. Each side entered the war with puny squads of physicians trained by textbook, if at all. Four years later, legions of field-tested doctors, well-versed in anatomy, anesthesia and surgical practice, were poised to make great medical leaps. The nation’s first ambulance corps, organized to rush wounded soldiers to battlefront hospitals and using wagons developed and deployed for that purpose, was created during the Civil War. The idea was to collect wounded soldiers from the field, take them to a dressing station and then transport them to the field hospital. Before the war, most people received health care at home. After the war, hospitals adapted from the battlefront model cropped up all over the country. The ambulance and nurses’ corps became fixtures, with the Civil War’s most famous nurse, Clara Barton, going on to establish the American Red Cross. Today’s modern hospital is a direct descendant of these first medical centers. How the Civil War Changed Our Lives – AARP. The Civil War saw a great number of casualties and as doctors struggled to keep up with the number of wounded soldiers they slowly learned better ways to deal with injuries from experience and need. The Civil War saw the beginnings of reconstructive and plastic surgery as well as advances in the treatment of chest wounds which became standard medical practice. Battlefield surgeons learned the hard way and many advances came out of the horrors of war. According to Chip Rowe in an article entitled 5 Medical Innovations of the Civil War, it was the shortage of supplies for the Confederates that led to the invention of an anaesthetic inhaler that allowed surgeons to use much less chloroform per patient. Battlefield wounds were often very complex with canons and Minnie balls fragmenting bones and leaving irregular wounds in flesh that were subject to infection. And lying unattended, sometimes for hours, on a dirty battlefield was not conducive to keeping wounds clean. This is where amputations came in. A soldier with a leg mangled by a canon shot had a much better chance of surviving if his leg was amputated right away before infection set in. Battlefield surgeons did not have time to deal with complex injuries in mangled limbs and even if they performed what was termed a resection the risk of infection for this sort of injury was very high. If infection set in and they were forced to amputate later the risk of the infection spreading was much higher. According to Terry L. Jones in his article on Civil War medicine, Under the Knife, amputations performed right away, or primary amputations, had a mortality rate of only 25% whereas amputating later when a limb became infected had mortality rates twice as high. So, amputation became a life-saving procedure on Civil War battlefields with experienced surgeons learning the best way to perform an amputation. They made the cut as far from the heart as possible. The lower on a limb the amputation was made the more likely the patient was to survive. Surgeons then tried to remove the nerves as high up as possible to avoid pain in the remaining portion of the limb. This meant that transportation of the wounded patient was less torturous and the amputee had a better chance of feeling less pain wearing a prosthetic. Due to the large increase in amputees during and after the war, better prosthetics became a huge concern. From generals to poor foot soldiers nobody was safe from wounds or amputations. Major General Richard S. Ewell lost his leg at the Battle of Groveton and after his recovery he returned to command with a wooden leg. For others the loss of a leg changed their lives. Major General Daniel E. Sickles lost his leg to a canon at Gettysburg in a fierce assault by the Confederates on his line. Although there is some controversy over the strategy of Sickles who disobeyed orders in his placement of troops at Gettysburg, many Union generals with worse track records were kept around. Civil War Historian, Craig Wilson, expressed in an interview his belief that the loss of Sickles’ leg, and the other injuries sustained, helped him avoid a court martial for his controversial tactics. It is impossible to tell what the outcome of such a court martial would have been, whether he would have been branded insubordinate or exonerated for his actions. What is certain is that Grant would not allow Sickles to return to command and some combination of the controversial tactics and serious injuries saw the end of his military career. Sickles entered the world of politics and among a number of fascinating exploits he decided to donate his leg to a museum. For several years after the donation he would return to visit his leg there on the anniversary of the amputation. Less well-known than Sickles, yet equally important is the first amputee of the Civil War, James E. Hanger. It would seem that James was simply not destined to fight. He was too young to join the Confederate Army when the war started so he joined an ambulance group to follow a unit and try to join later. He enlisted at Phillipi on June 2, 1861 and according to an article by Martha M. Boltz in the Washington Times, he was injured the very next day in his first skirmish. He lost his leg on June 3 becoming the first amputee of the Civil War. That in itself is interesting but James is even more remarkable because of his response to the amputation. James was given a wooden leg but since his amputation had been above the knee he had very limited mobility with the wooden prosthetic. After a stint as a prisoner he was exchanged and allowed to return home. There he locked himself in his room and refused to come out. His patient and worried mother brought him food and the materials he occasionally asked for and he left empty plates and wood shavings outside of his door. As the weeks passed James’ family worried that he was falling into a deep depression. However, James was not depressed; he was single-mindedly fashioning a more workable prosthetic. He shaved barrel staves and willow wood to form a double jointed prosthetic. It took about three months but when he was finished he opened the door to his room, walked down the stairs and amazed his family with a workable leg that restored both his balance and movement. James filed for a number of patents for his first prosthetic leg as well as his subsequently improved models. The boy who was not destined to fight in the Civil War spent the rest of the war dedicated to creating better and better prosthetics. Thanks to James E. Hanger and many other talented and dedicated inventors the Civil War saw great advancements towards the first truly functioning prosthetics. Now with technology continuing to advance in leaps and bounds there are some amazing possibilities for prosthetics for modern wounded soldiers. As soldiers continue to return home from recent wars with missing limbs the need for advanced prosthetics is only growing. With recent technology it is now possible to have a prosthetic leg 3-d printed for you. Bespoke Innovations is a company that custom prints legs for amputees out of any material they wish and in a variety of custom designs. You can take a look at their amazing gallery here. Technology seems to be moving us closer and closer to having truly bionic body parts. Computer technology has allowed us to create The Michelangelo Microprocessor Hand. It uses a microprocessor chip that picks up the electrical impulses from your muscles and translates it into motion working very similarly to a real hand. It allows people missing a hand to use a knife and fork, turn pages, and pick up small objects again. Recently bionics have been all over the news with Rex, the bionic man, who is made entirely of bionic organ systems and parts. The hope is that Rex will be the model for creating such systems to help people with failing organs. Modern scientists and inventors are following in James E. Hanger’s footsteps and trying to restore as much movement and ability to amputees as possible. While learning to adjust to a missing limb is always going to be difficult hopefully the modern advances in prosthetics will help. There was nothing nice about losing a limb during the Civil War but modern technology has made some of the bionic parts and prosthetic replacements exciting in their own right. Hopefully these and further advancements will restore a dignity and pride to amputees that previous prosthetics could not. Hat tip to my good friend Dr. Laura Munski, who shared this interesting site, created by ESRI, who produces the software ArcGIS, which is used for GIS, cartography, and many other uses. They also have a series of sites, called Story Maps, which all look interesting (yes, I am into geography as well as history). The Story Map on the Civil War is quite interesting, as it highlights battles, in chronological order, offers the user the chance to narrow the range, and, it animates the battle sites on the base map. 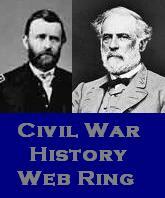 One great feature is the linking to the battle sites through the Civil War Trust, who links to this site. Civil War Trust is a pretty cool site for learning about the war, and battlefield preservation. 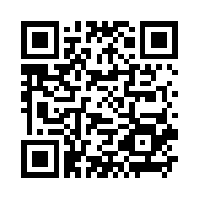 It also has a page for smartphone apps (if you are able to enjoy that technology). If you have some time, check out this great resource, especially if you are a teacher, as I can see the value of this in the classroom. Click here for Battlefields of the Civil War.